A new experience for young people is happening for the third year running. Sixty participants aged between eighteen and twenty-five are taking part in this Fotografia Europea Workshop, focusing their investigation on a project deeply connected with their interests and their world. In a series of introductory and preparatory meetings, the young men and women selected have been divided into four research groups and assigned to four artists-tutors: Alessandro Bartoli, Fabio Boni, Fabrizio Cicconi and Laura Sassi. These four artists will show the young participants some images from their own portfolios and most significant investigations, and analyse a selection of photographs by the great masters of the image, with a view to helping them to adopt a rigorous approach to the topic. This year, Speciale diciottoventicinque (Special eighteentwentyfive) concentrates on what ‘we see as lost’(or missed), in part as a tribute to the great writer Ludovico Ariosto on the five hundred and fortieth anniversary of his birth. The young participants in Speciale diciottoventicinque , under the supervision of the four tutors, are making every effort to chronicle loss. Observing their universe, these young photographers are building up a sampling, a register of what they feel is lost. Losing something in order to rediscover something else. Rediscovering in order to start again. Re-cycling, photographically speaking, the things, authors and artists that have been lost or disposed of by the world, always with an eye to the future that is awaiting these sixty young trainees, with its perils and hopes. Each participant is in the process of identifying the possible key word that will become the specific focus of their investigation and project, which, as from May 2nd, will be intertwining with those of the other workshop participants in the final installation. Every personal investigation will thus be able to arrange an infinite gaze on the future, made clean and essential by the absence of lost things, and every photographer will construct an ideal digital view-master resulting from the act of seeing. We will thus be looking at lost things, people and places from the viewing point of the moon, rediscovering signs and dreams. We will see lost umbrellas, lost loves and missed trains. We will miss a football game and lose words, and feel surprised by a gaze captured exclusively by pure eyes. Once again this year, Speciale diciottoventicinque is the yearbook of this young and disoriented community – a community with a short but eventful history which sees in the beauty of memory a value, not exclusively of a photographic kind, that can eventually save us. Alessandro Bartoli was born in Reggio Emilia in 1960. His investigations have been influenced from the very outset by the visual arts, literature, theatre, the world of cinema and the world of music. The “corpus” of his photographic work, mainly in black and white, chronicles the world through a strongly narrative approach and with a blend of many different artistic genres. In 1996 he participated in the photographic investigation Æmilia with a project focusing on swimming pools entitled Oceani padani (Oceans of the Po Plains). In 1997 he conducted a project on the young people attending the Journées Mondiales de la Jeunesse in Paris. From 1995 to 2000 he worked with the L’Impasto theatre company taking photos of the company’s actors-dancers among olive trees, in the tuff caves of Salento, the walls of Isera and Milan. In 2004 he presented the photographic project Grandi speranze (Great expectations), with an introductory text by Samuele Bersani, consisting of one hundred and fifty images dedicated to the age of restlessness. In the Spring of 2006 he participated in Fotografia Europea Week in Reggio Emilia with Canto di stagione (Seasonal song). That same year, along with ten other artists, he was a guest at WG’S (shared apartments) where he presented a water installation inside a private apartment entitled Surf party. He has run many classes on the history of cinema and has interviewed several Italian film-makers for the film festival Accadde Domani (It happened tomorrow) in Reggio Emilia; he has also written critical texts for published works by Italian photographers and artists. He has exhibited his photos in numerous group and solo exhibits in and outside Italy. His photos are held in private collections, European museums and institutions and have been published in books and magazines. Fabrizio Cicconi was born in Reggio Emilia in 1964. From the very beginning his investigations have focused on the image of man, as illustrated by his first solo exhibit, Padani, staged at Palazzo Ruini in Reggio Emilia in 1991. His work, which focuses on the subject of portrait, have given him the opportunity to start working with cultural institutions and musical groups. In April 1995 he worked with the film-makers Davide Ferrario and Guido Chiesa on the production of a book about the 50th anniversary of the end of the Second World War, in which he documented the cultural initiative “Materiale Resistente” (Resistance material), organized by the Municipality of Correggio in collaboration with the Italian band C.S.I.. Between 2003 and 2004 he conducted a documentation project on public transport for ACT (the local public transport company) curated by Sarah Grugnetti, culminating in a solo exhibit at Palazzo Magnani entitled Una città in Movimento (A city on the move). In 2005 he documented a Kolkhoz in Uzbekistan in collaboration with the writer Giorgio Messori. The work, entitled Politotdel, was exhibited at the international photography festival in Rome. Between 2006 and 2007 he worked on a joint project with his German colleague Kai-Uwe Schulte-Bunert on two divided cities, Gorizia-Nova Gorica in Italy and Görlitz-Zgorzelec in Germany. 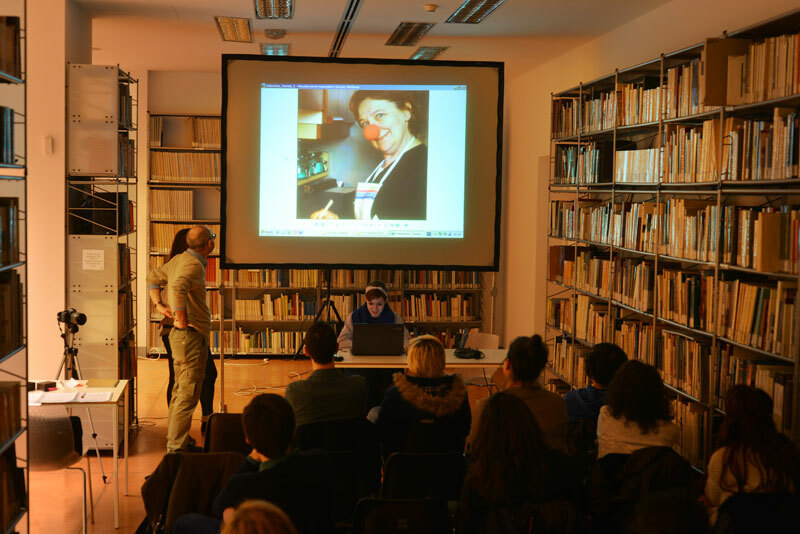 The project, entitled 2_ luoghi divisi (2_divided places) was shown in various European venues, including Fotografia Europea 2007 in Reggio Emilia and the European Month of Photography 2008 in Berlin. In 2011 he participated in Fotografia Europea with various projects, including Hipstamatic for San Lazzaro, a group exhibit shown at the Lombroso pavilion, the former psychiatric hospital in Reggio Emilia, and as curator of a course/project with photos taken by political refugees housed in a home-hotel in Reggio Emilia. In 2011 he collaborated with Francesca Davoli taking photos of home interiors which were published on the leading sector magazines such as Elle Decoration UK, Real living Australia, D – La Repubblica, Marie Claire Maison Italia and others. He has staged a number of solo exhibits as well as several group exhibits. Fabio Boni was born in 1965 in Reggio Emilia, where he lives and works, focusing particularly on portraits and social photography. His engagement in studying the human face from a social and psychological perspective resulted in his first exhibit shown in 1993, dedicated to children and the elderly, entitled Volti (Faces). He then developed the subject through further study and by broadening the scope of his work, photographing people from a wide range of social backgrounds and ages, from the elderly to teenagers, from families to celebrating communities, from workers in different types of professions to circus workers, through to refugees. In 1996 he participated in the group show Æmilia, sponsored by the Photo Library of the Panizzi Library in Reggio Emilia, presenting a series of images portraying families. The work he did in 1997, La campagna e il deserto (The countryside and the desert), photos of the Sahrawi refugee peoples, and in 1999, Vidonci un campo profughi in Slovenia (Vidonci a refugee camp in Slovenia) marked an important turning point in his photographic language, leading him to focus on the consequences of war. In 2001 he published Abitanti (Inhabitants) a project on families which illustrates stories by Giuseppe Pederiali. In 2003 he produced La misura del tempo (The measure of time), edited by Marco Vincenzi, a project and publication about the inhabitants of Montefiore (Rimini), and published the book Via Roma, paesaggi umani (Via Roma, human landscapes). In 2006 he exhibited a project on the circus, with portraits made during various shows by the Togni family. In 2010 he presented I.S.A. 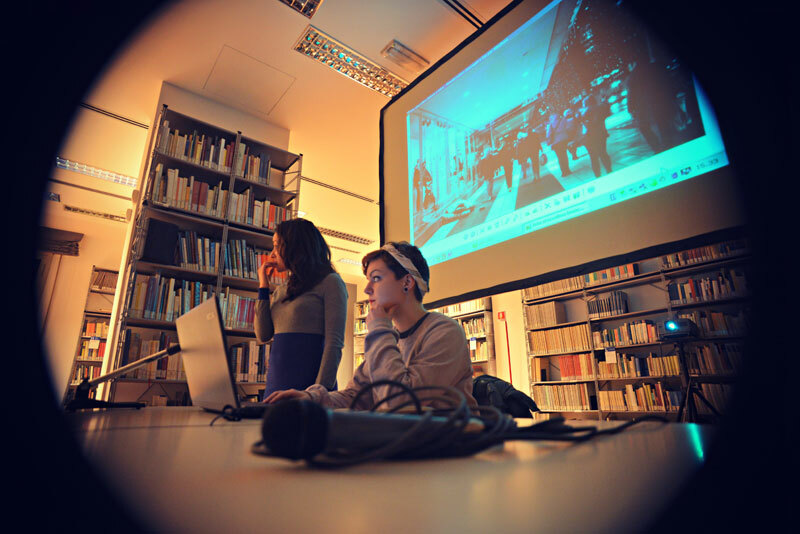 Chierici, a project conducted with the Chierici secondary art institute in Reggio Emilia. His latest works look at certain aspects of life in Emilia and everyday life situations. He runs courses and seminars on the photographic portrait at the CFP Bauer in Milan, at Studio Marangoni in Florence, and the Chierici secondary college of art in Reggio Emilia. His work has appeared in many exhibits and has been published in several catalogues. Some of his works are held in public and private collections. Laura Sassi was born in Reggio Emilia, where she lives and works. She has been a professional photographer since 1977 and since 2003 she has been working with the Diocese of Reggio Emilia and Guastalla, on the Cultural Project for the Archival Management of the Artistic Heritage of Churches in the Province of Reggio Emilia. She specializes in traditional black and white photography and deals personally with the laboratory work for developing and printing her professional photographs and personal photographic investigations. She is Vice-President of CNA Comunicazione and is Head of the Professional Photographers department of the Province of Reggio Emilia. She is a ‘Qualified Teacher’ under the Italian Professional Photographer scheme of professional photography training courses, run jointly by the Fondo Internazionale Orvieto Fotografia and the national associations CNA and Confartigianato. She has gained major recognitions at national and European level; her work has earned her the Qualified Italian Photographer qualification in 2002 and the Qualified European Photographer qualification in 2003, which are recognized by the most important European photography associations. Since 2004 she has been a member of the jury of FIOF, the awarding body of Italy’s professional photography qualification. She has undertaken a number of personal investigation projects which have culminated in exhibits shown in the city and province of Reggio Emilia, including Le sei corde (The six strings) in 1994, India – Jasmine in 2003, Il silenzio e il suono (Silence and sound) in 2003, and Il quaderno a metà – Sierra Leone (Half an exercise book – Sierra Leone) in 2009.